Soeur Louise: does desire destroy her, or does ageing destroy her desire? The Duchess de Valliere – Soeur Louisebecause it’s not always clear whether or not desire is a terrible thing. It’s easy to think it is at first – “vanity of vanities”, burning life and love, leaving the garden a “barren mire” – ouch! But there’s also something there about not being able to feel desire anymore which makes it a bit more ambiguous and raises the question: is it the loss of feeling that’s being described? Soeur Louise was a real person, hence the 1674 date in the title. She was the Duchess de la Valliere, one of Louis XIV’s mistresses. 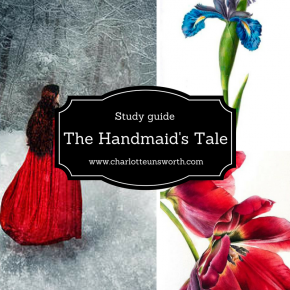 She had several children with him then caused a great scandal in court when she converted to Catholicism, eventually becoming a nun. A “misericorde” used to be a long narrow dagger used to grant injured knights an honourable death – so her adopted name translates as “Sister Louise of Mercy”. The constant repetition of “desire and “longing” is indicative of Rossetti’s attempts to understand and portray Louise’s state of mind. The first line is a strong statement of equality – there’s no attempts to claim a distance from desire. Rossetti’s speakers often own their desire, rather than rejecting it. Like many Victorian women, Rossetti struggled with the concept of feeling desire, particularly given her religious fervour. Working with fallen women too, she would have seen the destruction that can be caused by unbridled desire. Publishing this in her fifties, perhaps there’s also a regret that the desire which she must have felt has diminished, unfulfilled. The alliteration of “longing and love”, repeated on two lines, elongates the sound here and draws attention to the pleasures of love, aided by the trochee of “longing” interrupting the previously iambic rhythm. Yet the next alliterative phrase with its plosive sound – “pangs of a perished pleasure” – makes these sound almost painful instead. Memory is a “bottomless gulf of mire” and love “a fount of tears”, both terrible images of dirt and misery which overtake the speaker. The gentle “longing and love” is nothing compared with the harsh, unpleasant imagery at the end of the stanza. These two lines, with the introduction of anapests mid-way through, also continue the disruption of the rhythm, as the speaker’s life has been interrupted by her desire. The refrain of the final line once again emphasises the despairing nature of the poem. Linguistically, the semantic field here continues to be of loss – trickle, drop, dross, spent, gone. The speaker mourns the destruction that her desire has caused, and regrets that her “rose of life” has become thorns instead, painful rather than beautiful. The rhythmic pace here is slowed down as well; a combination of iambs, anapests and trochees means that it’s sometimes difficult to take hold of – perhaps either like the desire itself, acknowledging the futility of trying to control it, or like the loss it has caused. All that is left now is the “dross”, what is left from a material once it’s burned up and used. Desire, repeated over and over, is blamed for having destroyed both life and love. The heart is “love’s deathbed”, a startlingly bleak image in contradiction to the usual cliches pf the heart and love. This stanza lingers again; the long first line, for example. Then, the slow pace of phrase like “drop by drop”, repeats to elongate the line and draw out the life-in-death quality of the poem; is Rossetti’s speaker entirely wishing she had never felt desire – is there any suggestion that she wishes she still felt desire? Here, the refrain is also repeated at the beginning of the stanza, which means it’s read twice in a row – the final amping up of the tone of regret and despair. Her hope is “stunted”, and Rossetti uses the familiar image of the garden. Here, the garden is “barren mire” – the “mire” echoed from stanza two – where nothing can grow, maybe also echoing Rossetti’s unhappiness over her own childlessness. Elsewhere Rossetti uses the garden image to symbolise Eden, or Heaven – in Shut Out, for example the garden becomes gradually more and more closed off, and in Birthday the contrast between indoors and outdoors is significant.. If this is the case here, the imagery implies that Soeur Louise feels that despite her conversion, the garden is closed to her. This seems a harsh interpretation which wouldn’t necessarily be fitting with Rossetti’s branch of Christianity – the conversion and subsequent moral behaviour would have been weighed in the balance too – but there is always a note of doubt in Rossetti’s religious work as to whether her speakers can be good enough for Heaven. Repeated here too is the idea of “death-struck love”, linking to the previous stanza’s “love’s deathbed”, connecting the two so closely as to suggest that love has died. It’s unclear, though, whether love has died because of desire – it’s too impure, not able to withstand the fires of desire that have eroded it – or is love ended now that desire has gone because they are so intertwined one cannot survive without the other? The second interpretation would be a more generous, sympathetic one. The phrase “disenkindled fire” is also here again, reiterating that the fire has now gone out and, without desire as a troublesome urge, Louise is able to see the truth of the damage it has wrought on her life, and exclaim the despairing refrain one final time. Like this? 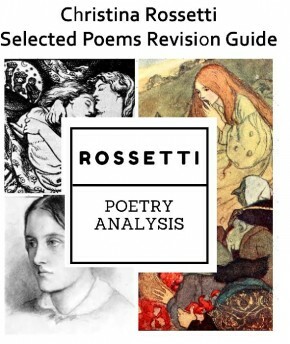 Check out my complete revision guide for OCR’s Christina Rossetti selection – with 91 pages, it includes forensic line by line analysis of each of the fifteen poems, plus how to use context analytically, and full details on how to prepare for the exam. 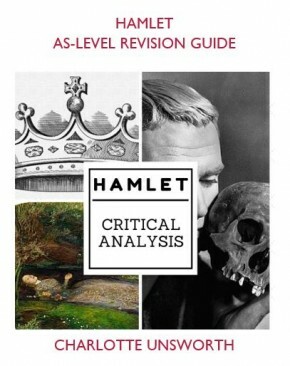 GCSE Mister Pip – what is context and how is it useful? Thanks so much! Glad you’re finding it useful.